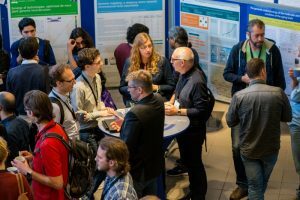 Echoing the successful workshops in 2013, 2014, 2015 and 2017, NWO, ZonMW and the Lorentz Center join forces to organize a challenging 5-days workshop that will take place in the Lorentz Center in Leiden. Various life sciences companies will formulate a scientifically challenging R&D problem which will be tackled by a small team of 5 to 6 young researchers. Participants, PhD students and postdocs, will be selected by their motivation for participation and scientific background. They are expected to come up with creative solutions to challenging, practical and real-life problems. During the workshop, participants will make new contacts and have opportunities to develop future job perspectives. On the last day of the workshop, all groups will present and discuss their problem solution together with the industrial partners.